The Campbell County Republicans had a big night on Tuesday, sweeping the Fiscal Court and all countywide races, and holding a state representative and state senate seat. Judge-Executive Steve Pendery was reelected, winning by nearly 4,800 votes and 17 percentage points over Democratic County Commissioner Ken Rechtin. Republican Tom Lampe claimed Rechtin's seat at the Fiscal Court and he'll join incumbent Brian Painter and newcomer Charlie "Coach" Coleman as part of the all-GOP Fiscal Court. Republicans also won in the races for sheriff (Mike Jansen), county clerk (Jim Luersen), coroner (Mark Schweitzer), jailer (James Daley), and property valuation administrator (Daniel Kent Braun). Mark Vogt, the only Democrat currently holding countywide office in Kenton County, lost his reelection bid to Republican Darlene Plummer. The Democrats fielded no other candidates in the countywide races in 2014. Appointed incumbent Allision Jones was elected to remain Court of Appeals judge for the 21-county region that includes Northern Kentucky. Her opponent, Covington attorney Justin Sanders, had campaigned as "Northern Kentucky's candidate" (Jones lives in Oldham County). When the results were counted, Jones had won twenty of the twenty-one counties, many by wide margins, while Sanders carried only Kenton. Jones won with 61% of the vote. The retirement of Supreme Court Justice Wil Schroder led to Michelle Keller being appointed to his seat and then Jones being appointed to hers (Schroder's son was elected to state senate). Keller easily defeated challenger Teresa Cunningham, a Boone County lawyer. Kathy Lape will be the newest judge at the Kenton County Circuit Court. She handily defeated Assistant Commonwealth's Attorney Jim Redwine. Her father, former Judge Ray Lape, watched the results roll in at the County Building, as photographed below by RCN's Patricia A. Scheyer. Meanwhile, in Kenton County, Judge Chris Mehling nipped challenger Karl Knochelmann in a Family Court race, while Judge Lisa Osborne Bushelman defeated Stepahnie Dietz for her Family Court seat, and Ann Ruttle successfully defended her District Court seat against attorney Chris Nordloh. In Campbell County, District Judge Greg Popvich was reelected. 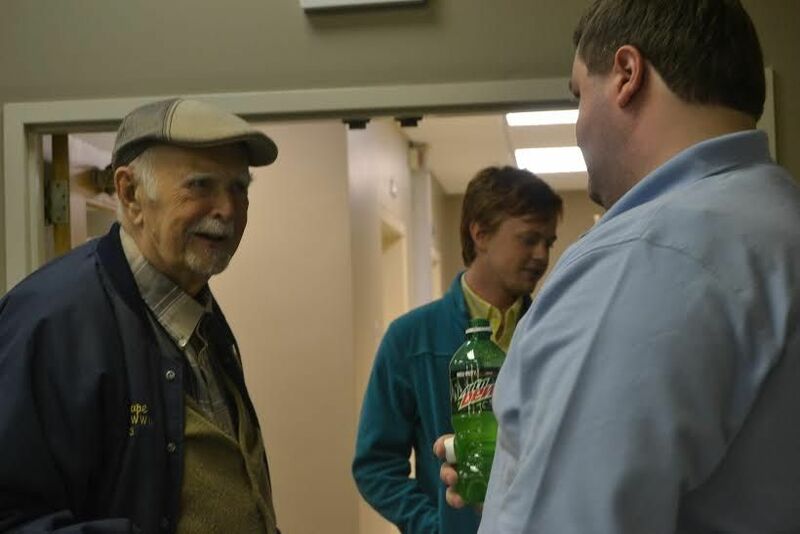 Former Covington Mayor Butch Callery was elected to lead Villa Hills on Tuesday night. He was the top vote-getter in a four-way race and fended off radio personality Ernie Brown, incumbent Mike Martin, and city council member Holly Menninger-Isenhour. Callery served as a Covington city commissioner for twenty years and then spent eight as mayor, until he was defeated in his quest for a third term in 2008. Erlanger Mayor Tom Rouse was edged out of office by a mere 24 votes, losing to Tyson Hermes. Chris Reinersman was elected mayor of Independence and Jude Hehman was the Ft. Mitchell mayor's race.